Guests have access to both apartments, each comes with kitchen, bedroom, bathroom, and living room/dining room. My husband and I will be available. We will provide you, if needed, with a cellphone to call us at anytime and anything you may need please do not hesitate to ask! 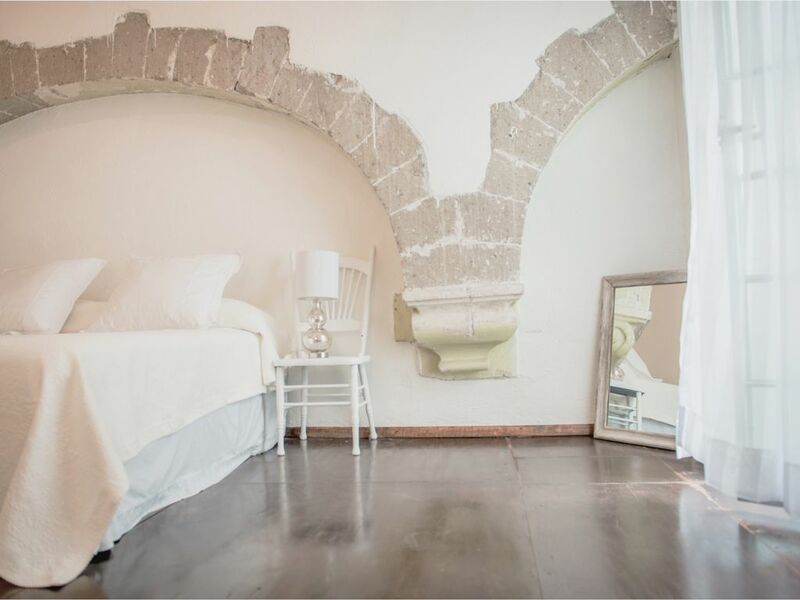 Our apartments are in the historic downtown district (Centro Historico). We are close to many restaurants, cantinas, sites, markets, etc.. The street we are on is only designated for the bus lane so it is very peaceful. We have one bus stop catty corner to our building that runs from our hacienda to the airport directly. Since we are located in the city center we have the bus line in front of our house, the metro two blocks away, and taxi available on any corner. Many mobile applications to get taxis (Yaxi) or car services (Uber) are available in Mexico City and will pick you up wherever you are. Any check-in after 7pm we charge a $35-$45 usd fee that pays for airport pick up and the driver will do your check-in. The cost depends on size of car you will need for your group. *After making your booking please send us your itinerary to know when we will meet you at the apartment. Also, due to a new policy we are requiring that all guests arrive with an ID that matches the name on the card used to make the booking that we can photograph for our books. Hola! My name is Olivia Andrews and I'm from Charleston, South Carolina. I came to Mexico seven years ago and live in the historic center of Mexico City. I love to meet new people and show them this beautiful city and hope that they love it here as much as I do! As a hobby on the weekends, I used to love going inside places in the historic center just to see what was there and stumbled upon this gem! My husband and I fell in love with the place immediately and knew it was impossible to find another place like this one in centro that we had to have it! So we bought four apartments all in the same building. The downtown area can be crazy full of events, music, people, shopping and this place is a break from the hectic life of the city and you don't have to go far. I could hear birds chirping when I entered the 18th century stone archways. It is truly an amazing little oasis in the heart of the city.